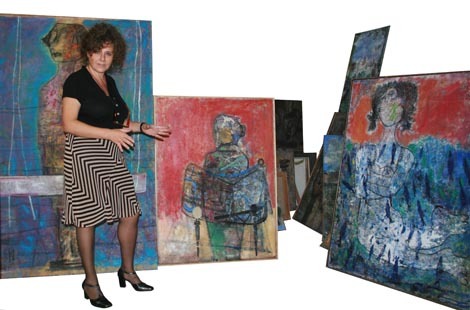 Margarita Gámez was born painter. It had been five years since completing her education in Madrid when the newspaper ABC called her the promising young Spanish painting. But what does being a promise mean? paint too well what other painters paint?, Paint what collectors want to buy ? The promising youngster can become trapped and die of success if responds to others´ demands and expectations. It’s huge the difficulty of giving up success dedicating oneself to look inside for the true art. Only a few have the courage to make this journey alone, awash in uncertainty, but artists need to do it if they want to find something that causes true aesthetic impact. Margarita did it; she had the courage of changing the artistic and commercial success for the search and deepening of an inner world, hers, which has enriched her work. This creative process has established a painting that being unique, we recognize as hers, because it projects emotions updated in the observer. Now she wants to share, both her findings and creative authenticity, with those who are willing to get excited about.